Skrap is the wonderful duo of Anja Lauvdal (piano, keys) and Heida Mobeck (tuba, electronics) They are known for initiating exciting norwegian projects as Broen, Skadedyr and Moskus. 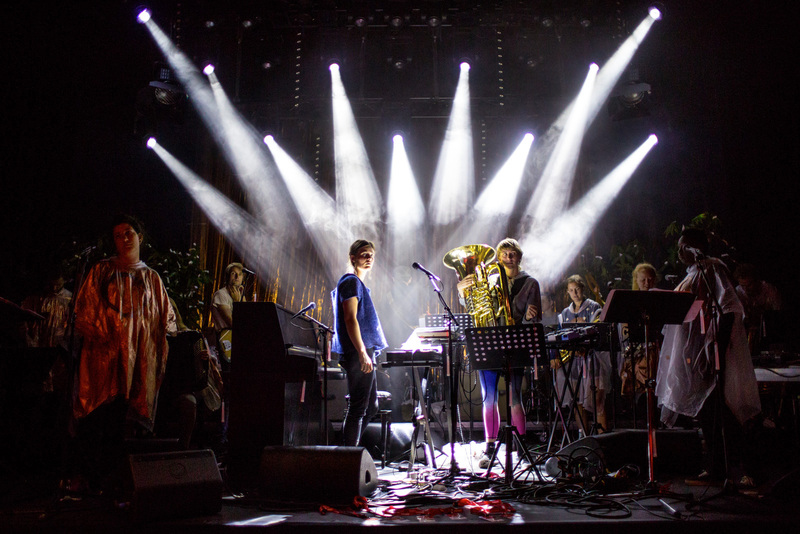 In their collaboration with Trondheim Jazz Orchestra they have gathered their favourite musicians from all over the map. Some of the most significant musicians on the norwegian noise, pop, soul, classical and contemporary scenes. The work 'Antropocen' will be released early 2017, followed by concerts all over Norway.